A Candid intimate interview with the Italian Teddy Bear. 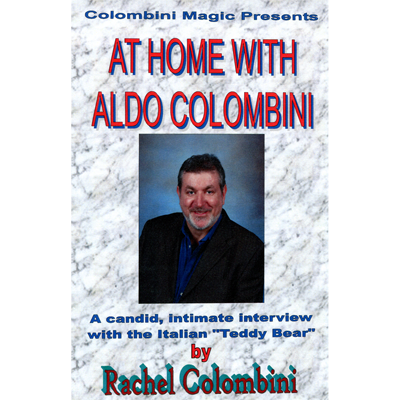 With wit, honesty, and lots of inside details, Aldo shares with his fans his life as a comedy magician and lecturer; his view on magic, tells about his career, the move to the USA, his hobbies, and how he was able to survive until 60 just with a deck of cards and a piece of rope! He also teaches an easy Italian recipe for a great pasta dish, and he may even play the guitar and sing a song if pressed by Rachel (and helped by a glass of wine)! Of course, he will also show and explain a trick never before released.